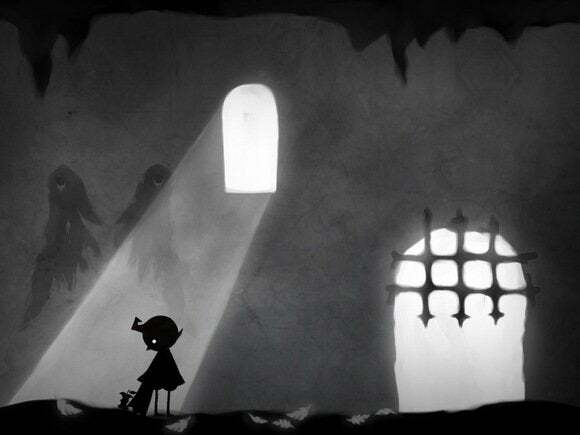 You play as El, a young boy who wakes up in a mysterious, "forgotten prison," and "flies off in search of purpose" with the help of a magical umbrella. 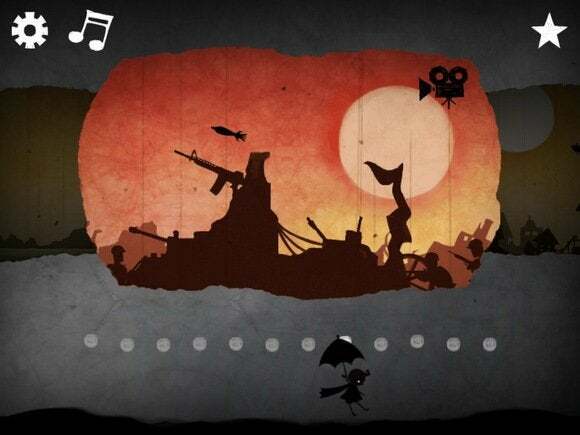 The game uses simple touchscreen mechanics—to open the umbrella and lift El into the air, you tap and hold the right side of the screen. To manipulate the wind and create a draft, you swipe side-to-side on the left side of the screen. Although most levels can be completed without much draft-work, it's a useful technique if you're interested in avoiding tricky obstacles and minimizing damage to your character. 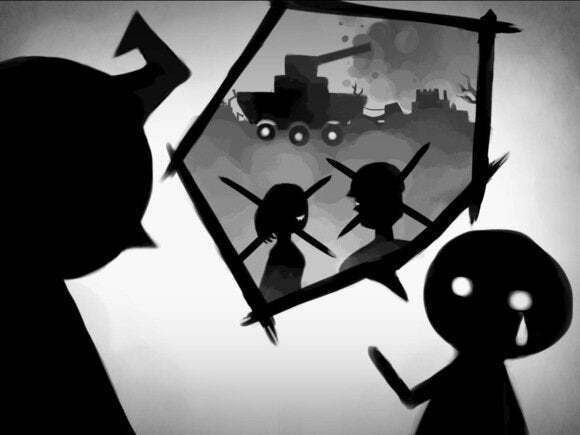 El tells you a story without words, even if it's about loss and war. The game is only 12 levels long, including a quick tutorial level and a simple finale. As you play through El, you'll see why the game limits its competitive vibe—the point is for you to fly through the story, rather than focusing on beating time limits or making it through unscathed. 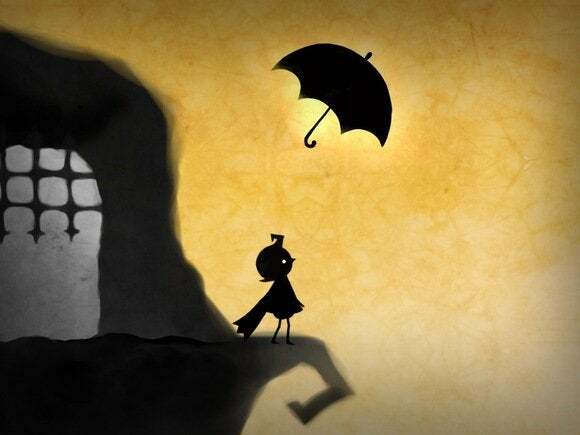 El does feature a life meter, however, in the form of a top-down view of an open umbrella, which diminishes each time you tap and hold to open your umbrella and fly. Hitting obstacles, such as birds and trees, will shrink your meter more quickly, while collecting glowing feathers will offer you extra flying power. There are no bonuses for avoiding obstacles or collecting feathers—only making it through to the end of the level matters. Thoughtfully designed: El has a distinctly indie feel, and it's free, but that doesn't mean the developer skimped on artwork, sound, or overall polish. El, other characters, and foreground obstacles (birds, bombs, and buildings) are represented as shadows silhouetted against ombre watercolor backdrops. Each level features a different, fully detailed landscape for El to fly through—one level has trees and rock formations, while another is a battleground full of tanks and ground-mounted machine guns. Even the menu has been beautifully designed. Short and sweet: El will take up less than an hour of your time—it certainly is not Candy Crush Saga. But not everything has to offer (seemingly) endless levels to be interesting. El has to be short, because it relies on fully immersing you in its dreamy, watercolor world. The game is much more powerful because you can play it in one sitting and see the entire story unfold without interruptions. The game may be short, but it's storyline is one you'll want to visit again.